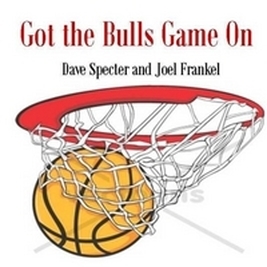 Children's Entertainer and songwriter, Joel Frankel teams up with Delmark recording artist and blues great, Dave Specter with a song celebrating the Chicago Bulls. Vocals by Ken Saydak. Available as a single download on CD Baby and iTunes. Joel performs with: the Schticklers, with daughter Layla Frankel, down boy down, and the Frankel Family Band. 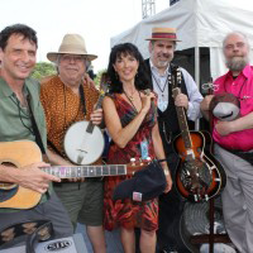 Joel is a regular in the Jewish Jug Band "The Schticklers," with esteemed musicians Barb Silverman, Jon Spiegel and Stuart Rosenberg. The Schticklers’ unique mixture of traditional jug band music and Jewish folk songs won them the top slot at the 2010 Midwest Jug Band Competition. You can see their trophy prominently displayed on the wall of the café at the Old Town School of Folk Music. Just look for the antique sausage grinder with their names engraved on it! Weavermania; A Great Tribute to Pete Seeger and the Weavers Joel had the wonderful opportunity to join the incredible musicians of Weaveramania - an authentic Weavers Tribute band – on a recent Colorado tour. Since Joel is directly related to original Weavers member, Freddy Hillerman, it was only appropriate that he played his parts. Weavermania band members include Barbara Barrow and Michael Smith (most famous for his beautiful song, “The Dutchman,”) banjo player, Mark Dvorak and Chris Walz. Upon their return they performed at Evanston SPACE. Here they are performing Rock Island Line. Joel and the Frankel Family Band play Stronger Than Me , tipping their hats to Amy Winehouse during the Forever 27 Tribute Concert, Old Town School of Folk Music. Joel Frankel and teaching artist, Jennifer Viets joined forces together and put on a fun show: If I Had Wings performing in the Playdate Series at Old Town School of Folk Music.